LOOK BACK WEDNESDAY IS A FEATURE HERE ON THE BLOG. THERE ARE SO MANY REALLY GOOD BOOKS I HAVE REVIEWED ON GOODREADS SO I DECEIDED TO HIGHLIGHT SOME FROM THE PAST. 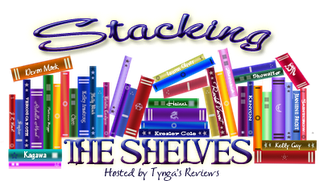 THIS MONTH I AM FEATURING BOOKS POSTED ON MY GOODREADS MYSTERY SHELF. EACH REVIEW IS A DIRECT POST FROM MY GOODREADS REVIEW. 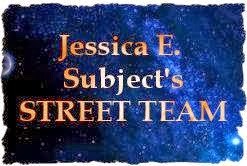 THIS MONTH I AM FEATURING PARANORMAL MYSTERIES. Precinct 13 is set in Pierre, South Dakota, not the usual place for a paranormal mystery to take place. That was what caught my attention in the beginning and then I looked at the premise. The police department has a special division that takes care of the paranormal. Alex Connor is the new coroner and one of her first bodies gets up and walks out she is sent to Precinct 13 where she learns that all the things she has seen for her entire life are real and she is not crazy. From there you have mystery, romance, more mystery and a lot of fun. The story line was not as strong as I would have liked but it still kept my attention and left me wanting to visit Precinct 13 again. This Giving Tuesday, and throughout the holiday season, Penguin Random House is giving you 5 books to donate to your community through our third annual #GiveaBook holiday campaign. With your help, we have donated more than 85,000 books to children in need across the country through #Giveabook since its inception in 2014. This year, we're donating an additional 50,000 books to children nationwide through First Book, a nonprofit social enterprise that provides new books and educational resources to children from low-income families. Follow this link to a giveaway page at Random House. Confluence by S.K. Dunstall needs more that just a short and sweet review. I think it needs a look back at the first two books in series and then a review of Confluence. I read Linesman when it first came out and really loved it. 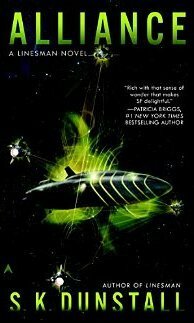 I fact I liked it so much that it was one of my Hugo nominees for that year and a recommendation for our Science Fiction Book Club. While it did not make the Hugo list it did make the review list for our book club and was the choice this October. That started my journey back into the world of Ean Lambert. 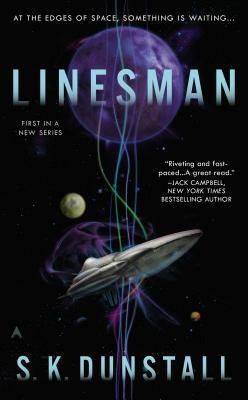 I reread Linesman and marveled at the way the authors (S.K. Dunstall is the composite of two different authors) dropped hints about Ean and the lines from the very first page when Ean walked onto a ship where the lines were in such a bad condition he was surprised it made it to dock. He gives the ship a pat and tells the lines the they did well and says he can almost hear them answering. He has alway been different from other linesman. He was late to training and had some habits that could not be broken. He sang to the lines and by singing put them back into tune. No one else repaired the lines by singing. Turns out Ean had the right idea and soon he knows that the lines can answer. From that start Ean makes a journey into a whole new world. After re-reading Linesman I found the CD of Alliance, Book Two, at my local library and visited the story again. Alliance looks at how Ean's discoveries change the politics and the way many of the characters react to those changes. The plot continues to grow more complex and Ean's abilities becomes both a danger to some and the hope of others. The stage is set for book three, Confluence. I had seen Confluence on Netgalley. I requested it and heard back that I was approved on the Monday before the election. I voted early and on election day I dropped back into the world of Ean, Michelle, Radko and Abrams. I stayed there for two days, did not want to leave so re-read all three books again. This is one of those series that becomes new every time it is read. I don't know if this is the last book in the series but I really hope it is not. I would love to visit this world again. Once again Ean, Radko, Michelle and Abrams deliver a taunt exciting story. There are other players featured in the story line. Some are new characters and some are side characters from the previous books who get to play a more important part this time. The politics are still front and center. Radko is sent on a mission that should have been a simple in and out. Instead she uncovers a new dangerous plot. More and more people want to control the lines and that means controlling Ean. I loved the fast pace but slow reveal of the danger to both Ean and Michelle. Once again the authors leave small bread crumbs along the way to give hints about both people and actions. I hope that this is not the last time to see this interesting and unique world that had been built in Linesman, Alliance and Confluence. One danger is removed but there are still the alien ships, where they came from and who they were fighting that is unresolved. Today I am both musing and reviewing. I was in Barnes and Nobel over the week-end and picked up the new Analog Science Fiction and Fact magazine. When I checked out the stories and authors I found a short story I just had to read. The story; The Continuing Saga of Tom Corbett: Space Cadet by James Van Pelt. Tom Corbett books were some of my favorites as a young girl. I loved anything about space. That love started when I was about 10 and found Trouble on Titan at my local library. I was immediately in love with space and space travel. I wanted to journey beyond Earth's atmosphere and often day-dreamed about the adventures I would share with the characters in the books I read. I purchased and read every Tom Corbett book. When I got older I packed them up and stored them in my Mother's attic. I stilled dreamed about space and hoped that it would be possible for me to go in my lifetime. I did not want to be a scientist- I wanted to be the pilot on the ships. As a teenager I was told that I could learn to fly but I could never be hired as a pilot because I was a girl, I could be a teacher, a secretary, or a nurse if I wanted to work but I could not be a pilot. How unfair. I did not like it but had to accept that that was the way the world worked. So I became a teacher. Then the world changed. Affirmative Action arrived. The first woman to fly for a major airline was hired and I went to the airport to learn to fly. It took me several years but I got the ratings I needed and started to fly for pay. Then the world changed again. The military started training women to be pilots. That part was too late for me. By the time that happened I was 28 with a husband and three small children. Life in the military was not in the cards. I always told myself that I would be thankful for what I had and I would not ever be bitter or angry about what I missed. I loved flying but still would have loved to go the space. Space did not open up like I would have liked it to. I never got the chance to go but I did meet the first woman to pilot the space shuttle. She and I were both at a Women in Aviation conference. She came into a meeting and sat down beside me. She was in uniform and I saw her pilots wings. I asked her what she flew and she told me and then added that she was about to make a change. She had just be told that she had been chosen as the next pilot on the space shuttle. I was happy for her but for just a very brief time I was angry that I never had the chance to a least try. So what did my flying career look like. I did charter work and corporate flying but it turns out that being a teacher was indeed my calling. My classroom was the cockpit of a airplane teaching others to fly. 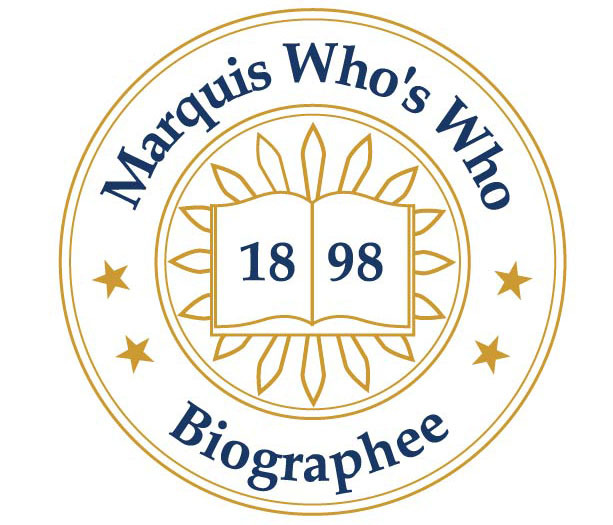 I was the Department Chair of two different college aviation departments and had a very rewarding career. So back to Tom Corbett and the story James Van Pelt wrote. Tomike, called Tom for short was also a Corbett. She discovers the Tom Corbett books and longs to be a Space Cadet in the Solar Guard and go to the Space Academy. Like me she wrote herself into the adventures in the Tom Corbett books. (There were not women in the Solar Guard so she put some in.) What, she thinks, if there is a real Space Academy? What if she tries really hard to be qualified and is chosen. What do you think happened. I could identify with everything she felt and wanted. The biggest surprise to me was not what happened but who wrote the story. I would have expected it to be written by a woman but that just goes to show you that I have some gender bias too. I think anyone who dreamed of space would enjoy and identify with the story. This is a reprint from a pervious book of Christmas Novellas so check before buying and reading to make sure you do not have the story already. It is short (50 pages) and sweet. There are two scene stealing children and two adults with a past. It uses a familiar trope. One of the main characters has come home after a personal disaster and years away. Of course the romance is rekindled and there is a nice HEA. A good short story to read between getting ready for the holidays. The setting a background of Martians Abroad is one that has been used often. The two main characters are sent back to Earth to go to school over their objections. One is very vocal and one trying to go with the flow. While they adjust they are placed in several dangerous situation. They big question is why target them and who is doing the targeting. A nice story that could be the start of a series or could be stand-alone. A nicely written story but nothing exciting or different from others with the same theme. This is book two in a series that I love but found unusual. The two main characters are a bit of a misfit so they have been partnered together. That is not the unusual part. Many times this heralds a budding romance that will build during the series. Not here. Satrine Rainey is married and trying to support her family after an accident left her husband impaired. Uncircled mage Minox Welling just want to do his job without interference. They do make a good pair as they each have different talents. Minox features in this story as his magic becomes out of control and so does he. Satrine carries the brunt of solving the murder at the heart of the story. What makes this really interesting though are the flash-backs about Sarine's past. There is much more to her background than meets the eye. The story starts off a little slow but picks up steam as the book progresses. I loved book one and was not disappointed with book two. I will be looking for the next book in the series. There are so many different ways this series could go. I will keep guessing until book three comes out. This is one part of two parallel series with a different view point and different characters. Go to the author's page to learn more. 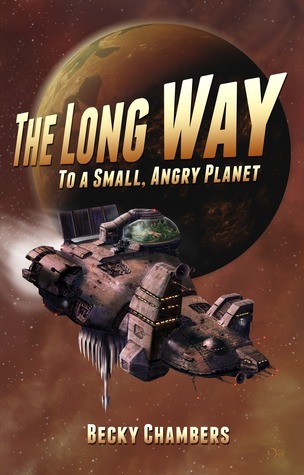 This is pure space opera with a hero who goes above and beyond. He is 80 and I had to wonder if the author's age (William Shatner) had anything to do with the age of the main character. This starts rather slowly, has some action that is really not part of the story line. It seems to be there at the first of the book to just show that even at 80 the hero can perform great feats of danger and daring. In fact he does that many times in the story. One problem is solved and anther is mentioned at the end. In fact it seems that the space station is just full of spies ready to provide a plot. The world building is good. The characters are rather one-dimensional but fit the story line. I found it to be entertaining. Book two in the Ares Security series is predictable but fun. This time it is Lucas St. Clair who gets a call from the past. Someone is trying to kill Mia Ramon, the girl he walked away from 15 years ago. 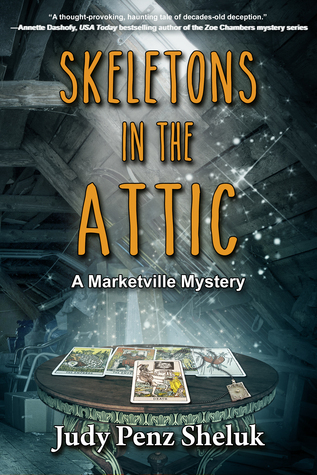 There are the usual twists and turns as well as a mystery to be solved. I admit I knew why the land Mia inherited from her Father was so important. Even guessing it was fun to see that I was right. Both Lucas and Mia are great characters. Mia is very strong, Lucas is very protective and sparks flew between the two for the entire book. Trust is a very important issue in the story line and I liked how it took time for it to be re-devolpe. A nice second addition in the story of five brothers by choice instead of by blood. Work just fine as a stand-alone. When I agreed to review A Darkness Absolute I knew it was book two in the series and I had not read book one. After starting the book I realized that I was missing some of the references and missing how they tied into this story. 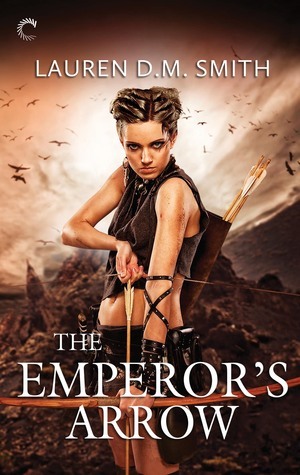 I did not have any trouble following the main plot but still knew I would have enjoyed it more if I had read book one. That said this was still an interesting book with a very interesting setting. Everyone in the book is running from something in their past and that makes everyone a suspect. It also makes for some really great characters. Casey Duncan is trying to sort everything out and who is doing what. I was so caught up in the world building and back-story that I often missed some of the clues. I really liked the setting. The plot was complex. I had no idea who the bad guy was until Casey did. A very interesting series with many, many possibilities for future plots. I am going to go back and read book one and I suggest that you start there or do the same. While this can stand-alone there is just a lot of back-story and world building that despite hints is missing. "DENVER -Excitement mounts on the eve of this landmark conference, the first of its kind in werewolf history." "You didn't like the idea of me taking a call from my lover right under your nose, after we'd confessed we were attracted to each other. I get that." 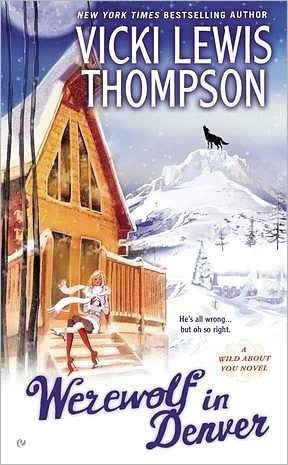 From Vicki Lewis Thompson's Werewolf in Denver a Wild About You Novel. I won a signed copy of this from the author. It is still on my TBR pile but as soon as I get some of my reviews done it is the next to read. It sound like a really fun book. 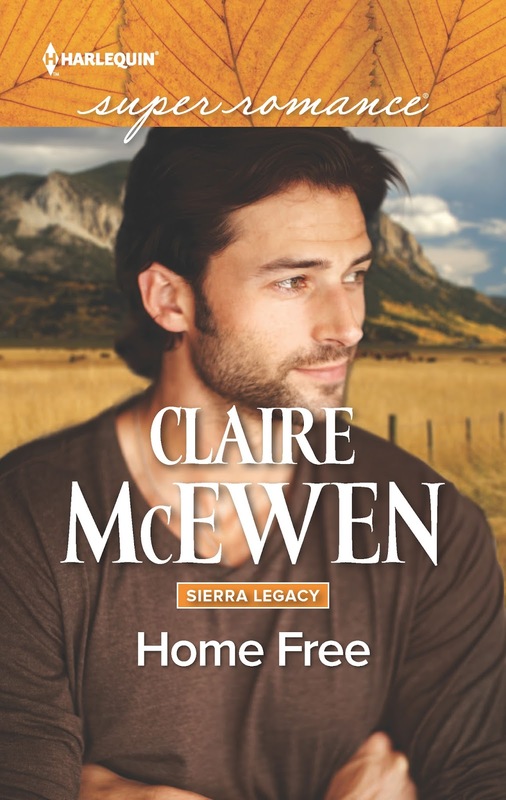 Home Free is part of the Sierra Legacy series by Claire McEwen and is the final visit with the Hoffman family. Each of the Hoffman children have had to deal with a childhood that was less than optimum. Arch Hoffman has more to overcome than most. He is just out of prison and is trying to come to terms with life in the outside world. He is afraid that he will not succeed in becoming a new and better person. 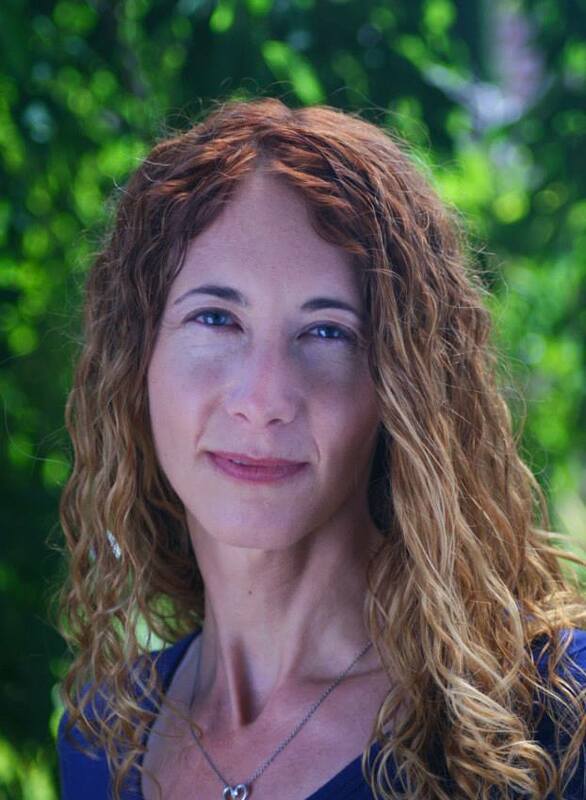 Mandy Allen has her own past that is holding her back. When the two meet the two strike a spark and it seems each is what the other needs. Having said that the relationship does not run smoothly. Mandy has to overcome her fears and Arch has to believe in the man he has become. I like the fact that there was not instant solution. It takes time and experience for both to believe in themselves and then believe in their love. They are both great characters and they come alive on the pages of the book. I felt for both and was pulling for them throughout the story. This is part of a series but it works well as a standalone. There will be future books in the Sierra Legacy series and I think I saw a hook for the next character to have their story and HEA. When the next book comes out I will see if I am right or wrong. I loved the cover. Arch looks just like I pictured him in my mind. His words were small pieces of a miracle. How was it even possible? Mandy pushed herself up to sitting, every part of her stiff, shaky and stinging. The dark-haired man was on one knee, as if he was about to propose. And in his arms, perfectly upright, perfectly intact, was her perfect cake. Mandy stared at him, wondering if she’d fallen right into some kind of fairy tale. Because only in stories did someone this handsome show up out of nowhere and save the day. He even had the wavy black hair of a fairy-tale prince. “My pleasure.” He rose from the dirt. And rose. And rose. There had to be over six feet of him. “It was a really good catch.” She sounded like a kid meeting a sports hero, all awestruck. But he was overwhelming. Each piece of him, from his height to the sharp cheekbones that slashed across his angular face, was larger than average. He was hard to take in all at once. And he’d saved her cake. Claire enjoys discovering flea-market treasures, walking on the beach, dancing, traveling, and reading, of course! She loves to write complex heroes and heroines who grow and find themselves through their search for love. Claire McEwen will be awarding a $25 Amazon or Barnes and Noble GC to a randomly drawn winner via rafflecopter during the tour. November 30: Archaeolibrarian - I Dig Good Books! Labels: Claire McEwen, Contemporary Romance, Goddess Fish Promotions, Mixed Book Bag. 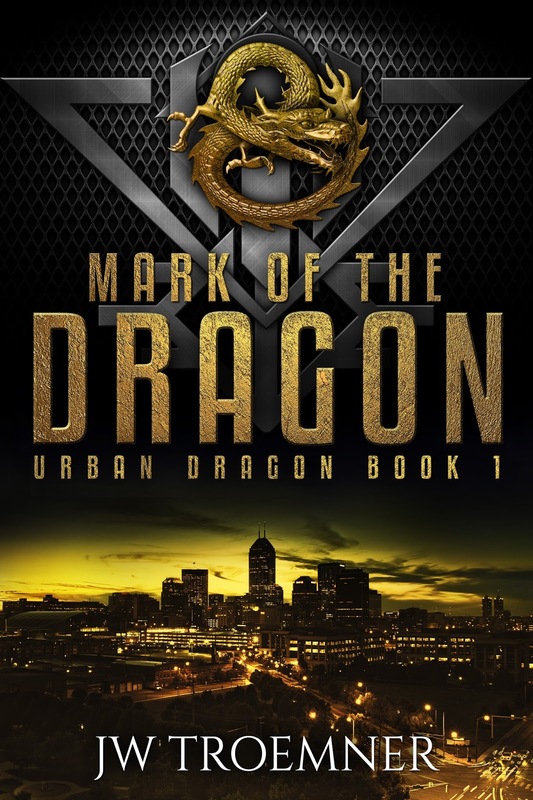 I want to thank JW Troemmer for being my guest today and tell me why she chose to make a dragon one of the main characters in her new book. I loved her reply. Here it is. Read and see if you love it as much as I did. 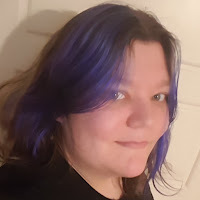 First of all, thank you so much for having me on your blog, and for asking such a fun question! I think it’s particularly fun because it has such a stupid answer. Normally, it seems like such major writing decisions should have weight and meaning behind them. The keyword there is ‘seems’. Arkay started out as a supporting character in another story entirely, and a particularly old one at that. She belonged to a generic fantasy race that looked and acted like pretty much every other generic fantasy race: strong, fast, an exemplary sense of smell and some wicked claws. What can I say? I was only fourteen at the time. This story’s been bouncing around my head for more than a decade now, and it’s changed a lot since its inception. In her original incarnation, the character’s name was Ryuu Kageyama, which eventually got shortened to RK—which itself became Arkay. And for anybody who didn’t have an anime phase in middle school, allow me to clarify: Ryuu is Japanese for dragon. So when I scrapped the made-up race she belonged to, I decided to make her a dragon instead. I’m not kidding, that’s the entire reason. The majority of her personality actually followed that decision, and I started giving her more and more traits that were draconic in nature. I played up her vanity, pride, greed, and so forth, and I have to say, it’s made her one of the most fun characters I’ve ever written. In the original story, Ryuu was chronically ill, which left her small and weak compared to everybody else around her. When she wound up in charge of a clan of monsters, she couldn’t keep them in line with the traditional policy of screaming and breaking things, so she had to instead rely on diplomacy and connections to maintain order and keep power. Much of that dynamic still plays a part in the series. In the first half, most of the characters are unfamiliar enough with dragons to understand to be intimidated by her reputation alone, but as the world opens up and more people know what to expect, that stops being an option. She still keeps her diminutive size as a callback to that first incarnation. A lot of her being chronically ill got lost along the way, I’m afraid, but I’m hoping to use that more thoroughly in another project down the line. JW Troemner will be awarding $25 Amazon or Barnes and Noble GC to a randomly drawn winner via rafflecopter during the tour. Visit the other blogs on the tour for additional changes to win.